Collin Leslie Broholm is the Gerhard H. Dieke Professor in the Department of Physics and Astronomy at the Johns Hopkins University. He earned his PhD from the University of Copenhagen in 1988, was a post-doc at AT&T Bell Laboratories from 1988–1990, and joined Johns Hopkins in 1990. An experimental condensed matter physicist, Dr. Broholm is interested in anomalous forms of magnetism, superconductivity, and their interplay. Of particular interest are crystalline materials where quantum effects are enhanced on account of competing interactions (frustration) or low dimensionality. 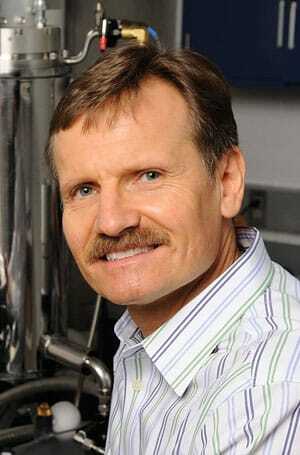 The main experimental tool is neutron scattering and Dr. Broholm has a long-standing involvement in development of the corresponding instrumentation. He has built two spectrometers at the NIST Center for Neutron Research and has served on various committees overseeing instrumentation development at National facilities for Neutron Scattering. Dr. Broholm received the Presidential Faculty Fellowship in 1994, became a fellow of the American Physical Society in 2004, and received the Sustained Research Award of the Neutron Scattering Society of America in 2010. Dr. Broholm is the director of the Johns Hopkins Institute for Quantum Matter and is also affiliated as a joint faculty with Oak Ridge National Laboratory. In 2014 Broholm was selected as a Moore Experimental Investigator in Quantum Materials. View an abbreviated biography of Dr. Broholm here.